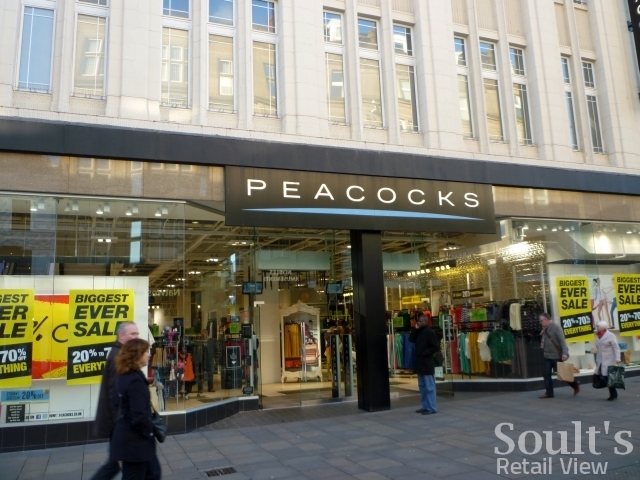 Today’s announcement that Edinburgh Woollen Mill has bought fashion retailer Peacocks out of administration is very good news as far as the 6,000 saved jobs and 395 retained stores are concerned. However, 224 stores have ceased trading with immediate effect – including ten here in the North East – with the loss of 3,100 jobs. 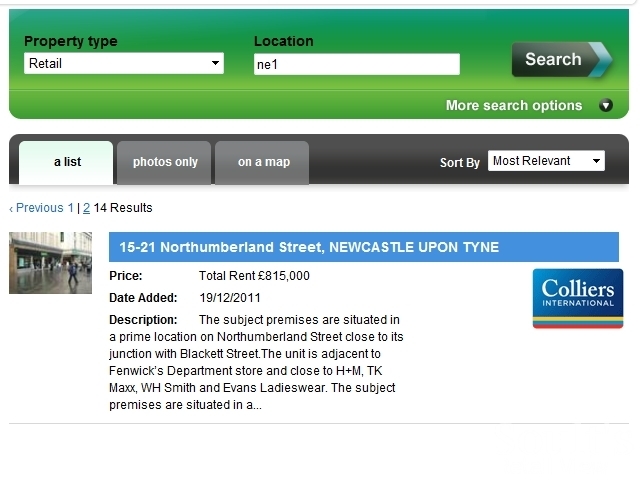 *UPDATE, 23 Feb: BBC News and some other sources haven’t included the Gateshead town centre store on the closure list, but I’ve checked with the store this morning and it is, unfortunately, among those that have closed. From a quick look at the list, it’s notable that many of the chain’s stores in the region’s smaller towns – where Peacocks is a major fashion anchor – have been saved. 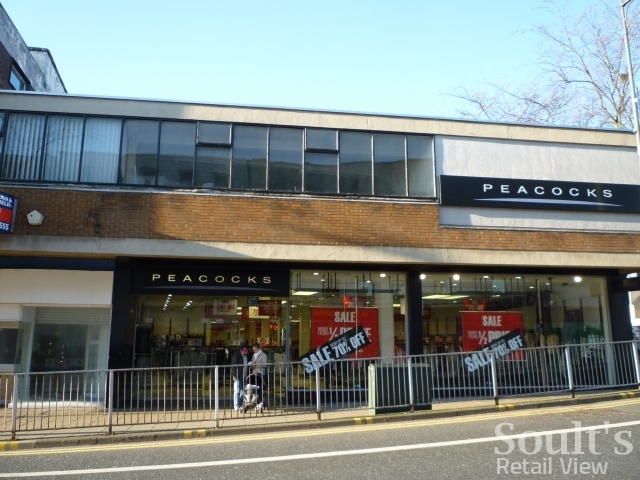 In contrast, stores in most of the North East’s biggest retail centres – Newcastle, Metrocentre, Sunderland and Middlesbrough – are among those that have closed. The closure of these and other large city-centre stores elsewhere, such as in Sheffield (the city’s ex-Woolworths site on The Moor) and Bristol, suggests that the Peacocks brand’s recent expansion into expensive flagship locations – where it was competing with the likes of Primark and H&M – was largely unsuccessful. Instead, future success may be easier to come by in those smaller towns where chains such as Store Twenty One, M&Co or Ethel Austin are Peacocks’ bedfellows. Newcastle’s Peacocks is a case in point. The store is noteworthy in that it only opened in July 2010, taking over the prime city centre spot vacated by Zavvi, though it rarely seemed busy with shoppers. 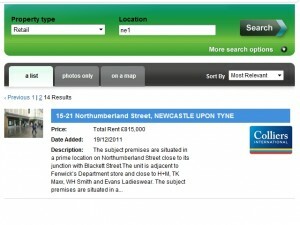 Indeed, if Estates Gazette is to be believed, the unit had already been back on the market since December – even before Peacocks’ collapse – which would always have made it a long shot to be saved as part of any rescue deal. Fortunately, Hammerson’s redevelopment of the adjacent Monument Mall for upmarket fashion retail is likely to make the Peacocks unit attractive to other potential occupants. Similarly, elsewhere in the region, I’m told that another retailer had expressed interest in one unit today within hours of Peacocks’ closure there being announced. Inevitably, however, there will be some locations that struggle to muster as much excitement, at least in the short term. 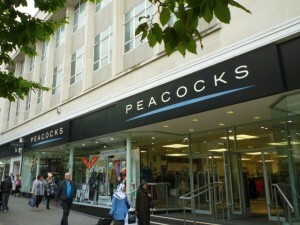 Hopefully in a future post, I’ll discuss what Edinburgh Woollen Mill might need to do to rebuild the Peacocks chain and brand after the last few months of uncertainty. For now, however, we can be thankful that EWM’s intervention has at least avoided a Woolworths-style wipeout of the 128-year-old business. This is bad news. 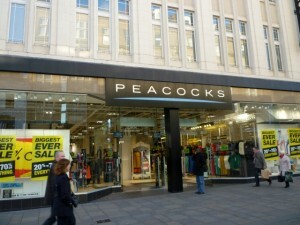 I love Peacocks clothing so it is a shame that my local one in Killingworth is closing, as well as the one on Northumberland Street. As I live near the Killingworth store, I’ll keep you updated on when it closes. I feel bad for the staff who lose their jobs. I think they’ve all closed already – it was a case of lock the doors immediately, I believe.